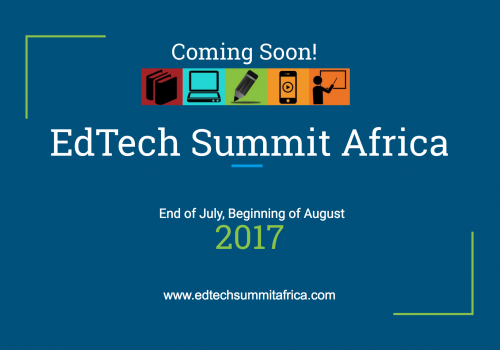 2017 EdTech Summit Africa Announced! Read our Newest Blog Posts Here ! 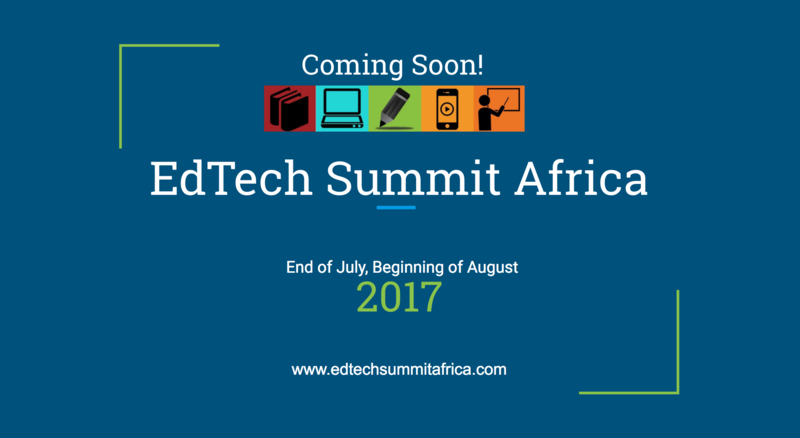 EdTech Summit is an innovative technology conference shared with educators across Africa free of charge. We are focused on teacher training and program development addressing education equity and social justice issues by working to implement creative and cutting edge technologies in schools and communities. We support teachers and learners with technology tools and training to aid in the acquisition of 21st century skills, methodologies and instructional strategies. Focused on meaningful solutions for learning, we bring together local and global presenters whose combined voice is strong in partnership. Our EdTech Summits strive to grow the confidence and skills of teachers in creative technology integration and implementation. We are particularly dedicated to educators teaching in challenging, underserved and under-resourced environments where hands-on technology learning opportunities in a collaborative setting for teachers are rare, yet the will to explore new and engaging possibilities for their students remains strong and positive.